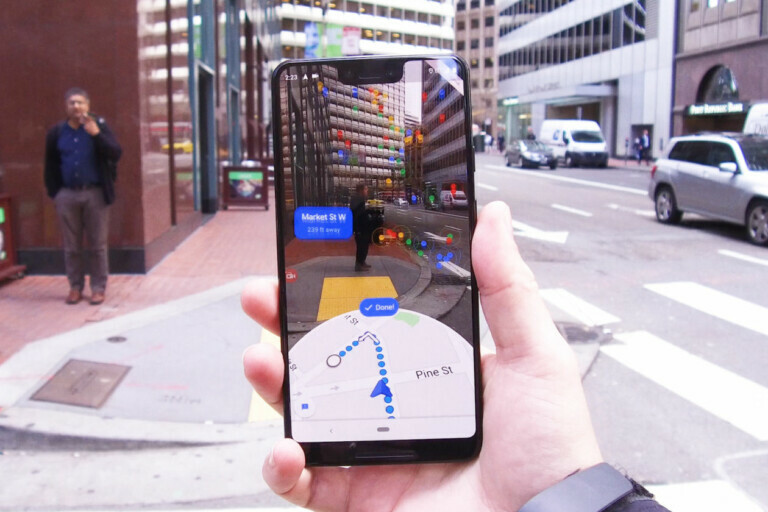 Google first announced the Google Maps AR feature during the Google I/O in 2018 and showed the audience how the animated guides can help us walk the ever more complicated streets of the places we visit. While the blue dot might take a while to catch up with you, especially if the internet is moving slowly, the new AR feature will superimpose directions on top of the real world and give you a helping hand in moving around more swiftly. All you’ll have to do is press the “Start AR” button in order to access it. After that, you’ll get a live view of your surroundings via your camera and animated indicators will guide your way towards wherever it is you need to go. While it’s pretty straightforward and easy to use, you’ll have to keep in mind that using the feature will waste away at both your data and your battery, so use it sparingly. Well, it might be a while until most of us will be able to ‘use it sparingly’- the feature is currently being rolled out to only a few Local Guides and some of the reviewers that are known to be very active; it will only be available to everyone else at a much later stage. At the moment, the company is still testing the feature for viability.